Definitely PS "Freshwater" which as MB says was built at Cowes. 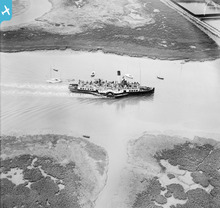 In April 1959 she was temporarily given the suffix II after her name as a new car ferry was being built for the service. 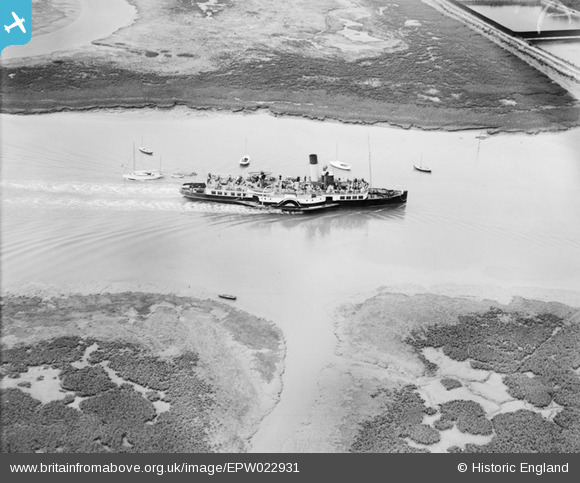 She was withdrawn on the 18th of September 1959 and was purchased by Brighton & South Coast Steamers Ltd in June 1960. She served Brighton and Eastbourne as "Sussex Queen" in 1960 but in 1961 was further renamed as "Swanage Queen" and sailed from Bournemouth. Unsuccessful in these ventures, she was sold for further service to a Mr Townsend, but was found to be beyond economical repair and was sold for breaking in Belgium in May 1962.